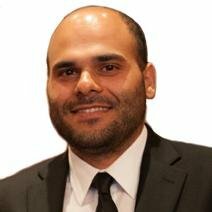 The latest report from the Finance Magnates Intelligence Department and the retention automation firm CPattern shows that Switzerland was the best market for getting new deposits on the global forex trading map during the month of May 2017. 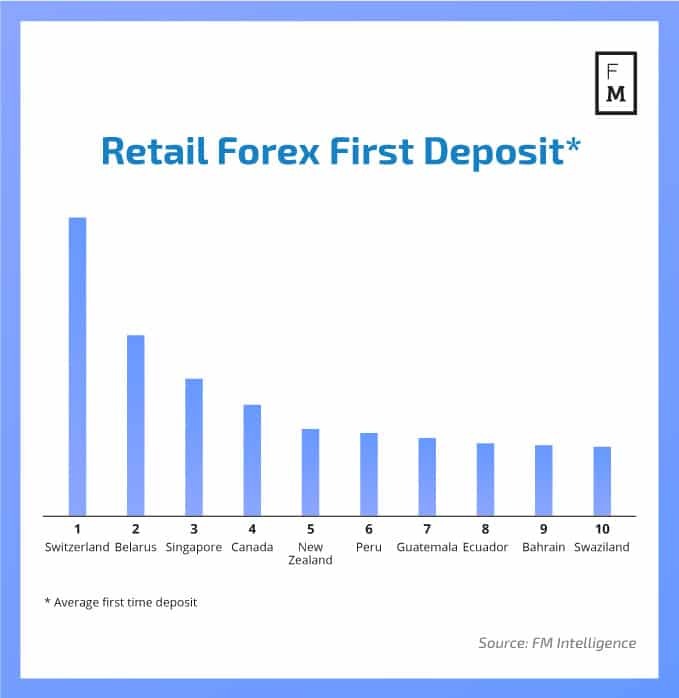 Surprisingly, following the wealthy, developed nation of Switzerland some relatively poor developing nations made it onto the list of top ten highest average first time deposits in May. These include Belarus, Peru, Guatemala, Ecuador and Swaziland. 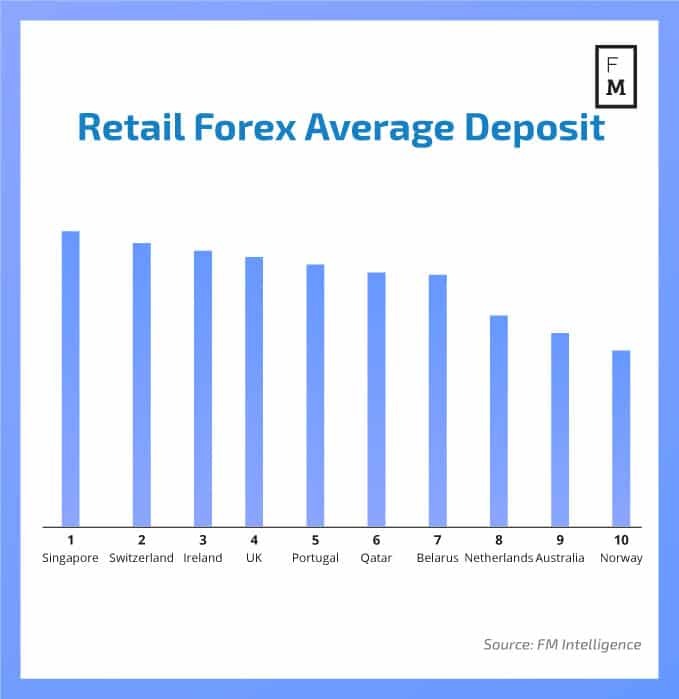 Switzerland was also high on the list of overall average deposits, behind only Singapore. Unsurprisingly, most of the entries are rich European, Gulf and APAC nations. Belarus was the only representative of the poorer parts of the world this time. 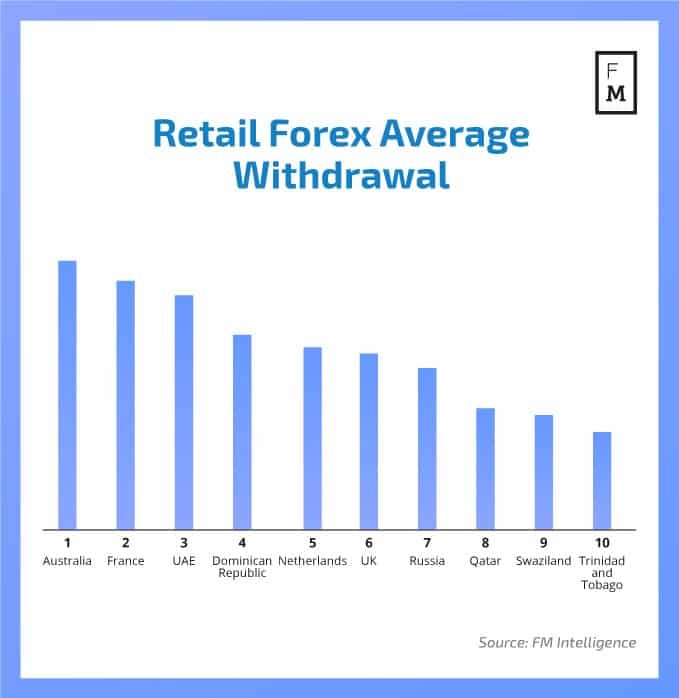 As for average withdrawals by forex traders, which implies bankable profit from successful trading during May or the months before that, the list is more diversified. Australia might lead the pack but we see countries from all over the world represented including the Dominican Republic, Russia, Swaziland as well as Trinidad and Tobago.